Hyundai certainly knows what it’s doing as far as styling and creating a quality car these days, that’s why it continues to gain market share. 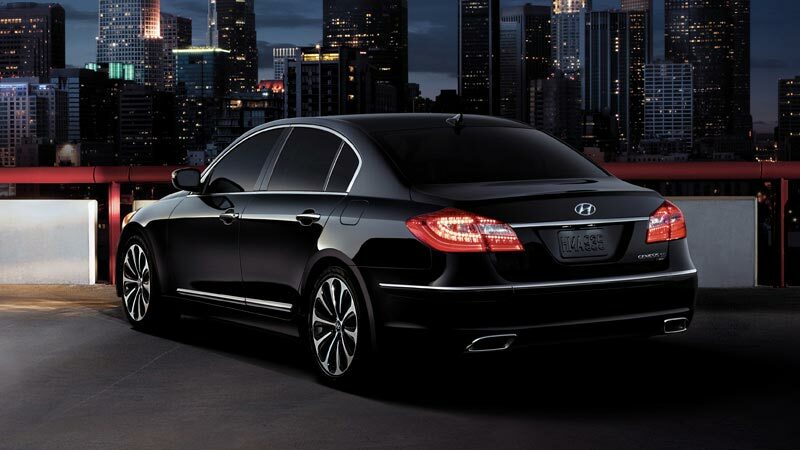 But its large Genesis luxury sedan is a mixed bag. Here’s why. First, the tested Genesis 5.0 R-Spec is a great looking car that reflects a new Mercedes look. Obviously Hyundai designers were heavily influenced by Mercedes styling as its mid-size Sonata also very much borrows from the German car maker’s designs. Where Hyundai one-ups Mercedes is inside the cockpit. 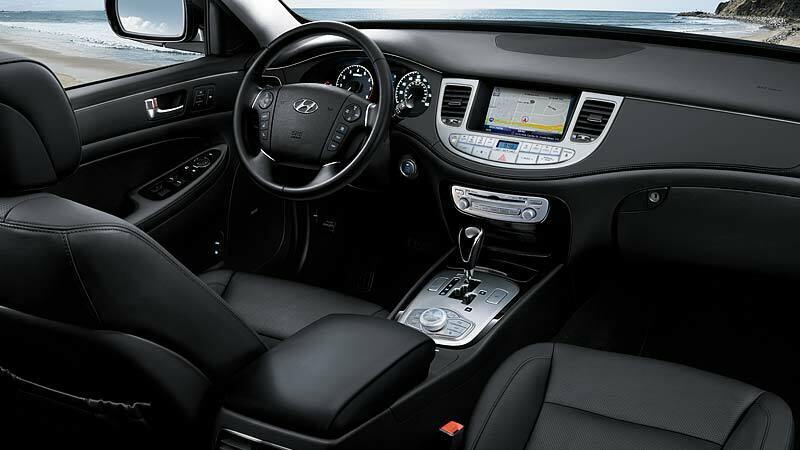 Hyundai successfully executes simple, elegant interior design with logical button and control placement and layout. Likewise, Hyundai has figured out how to create beastly power and silky transmissions to tame it. Case in point, the pearl black test car’s 5.0-liter, V8 with dual CVVT creates a monstrous 429 hp. (R-Spec stands for Race-Spec, thus the prodigious power.) Yet linked with an 8-speed automatic with the Shiftronic feature so that you can manually shift if you so desire, the power is delivered with seamless shifts. Want to fly up to freeway speeds? 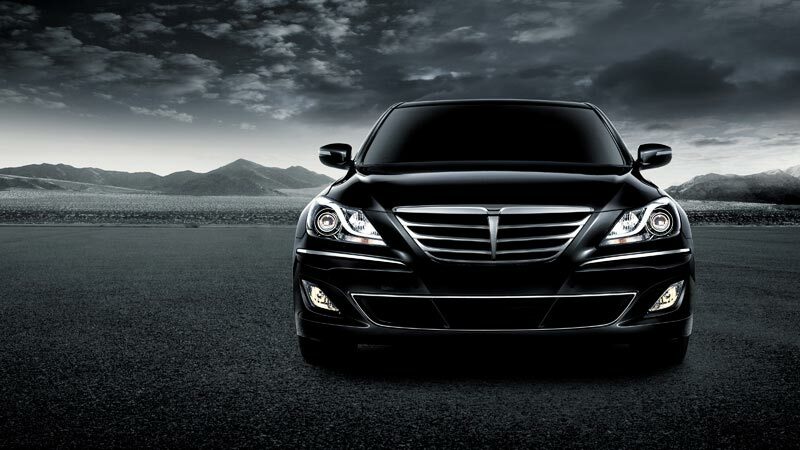 Just drop the pedal and the rear-drive Genesis rockets in a well-controlled burst, up to 60 in just a few seconds. However (you knew it was coming), the steering is so heavy in Genesis that only weight lifters and body builders will be comfortable for long drives. Steering effort is so weighty that it’s tiring, even on just a drive from the suburbs to downtown and back. If this were heavy and BMW precise (even Mercedes or Cadillac precise), you might forgive the effort. But instead, Hyundai delivers a numb feel to the steering with a fair amount of play in the wheel that makes it feel you’re aiming the big car down the highway. Many Hyundai sedans that I’ve driven have a heavier steering effort without a precise feel, the irony being that KIA models I’ve driven of late have a lighter feel and more precise turn-in into corners. Why irony? Well, Hyundai owns KIA. Maybe some engineer swapping is in order. So here’s where Hyundai needs to get its act together. It has the looks and the build and the power, but not the overall performance it needs to move into the upper pricing echelons, yet KIA does. Genesis rides on a 115.6-inch wheelbase, which gives it a pretty fair luxury sedan ride, maybe a bit more jiggle is felt by passengers than even in its KIA cousins. Then again, this one has a sport-suspension, which tends to firm the ride up. But the car is quiet and feels substantial, which it is at 4,046 lbs. Braking is good from four wheel discs brakes, with traction and stability control. The sedan also features 19-inch tires on machined aluminum wheels with a fancy 10-spoke design. In back is a generous 16.0 cubic foot trunk and inside is easily enough room for four adults to take a trip in comfort. Five adults will fit well for around town driving. I like the interior better than those in many luxury makes, the test car featuring black leather with a soft-touch dash and door trim and a stylish silver trim line separating the top dash from the lower portion. There’s also silver trim around the air vents and brushed metal facing on the center stack and console, and fake black wood trim on the door’s arm rest and console. Seats are perforated leather, with the driver’s seat being both heated and cooled. Front passenger and rear outboard passenger seats are heated too. The front seats feature fairly flat bottom cushions and well contoured back cushions. The driver’s seat also has two memory settings and there’s a power tilt-telescope steering wheel that powers up and away when you exit the car. The Genesis R-Spec’s interior is stylish with a silver trim line that separates the upper and lower dash. Main gauges are white with a blue digital trip computer readout between them, and the navigation screen is large with climate controls spread below the screen. Radio controls spread out below those, but here’s where I had a problem. While I could tune the fancy Lexicon stereo just fine, I could only get sound to come from its 17 speakers when it was set to satellite radio. AM and FM channels delivered no sound. I studied the owner’s manual and quick-start booklets and could not find a solution. Yet it was obvious the radio was getting the signal. Odd! Hyundai delivers on many other fronts though, including a rear-view camera, rain-sensing wipers, Blue Link telematics system, side mirrors that fold flat against the car when the car is stopped and locked, and a lane-departure system. I find lane-departure systems annoying, but you can push a button to turn it off when you’re not on a long doze-inducing highway run through the Midwest. Genesis also features push-button start, inside trunk and fuel door releases and radio, phone, cruise and trip computer buttons on its steering wheel hub. Again, everything was easy to figure out. Sadly there also is a large metal knob mid-console to rotate between various computer and radio functions. This is cumbersome to use while driving. 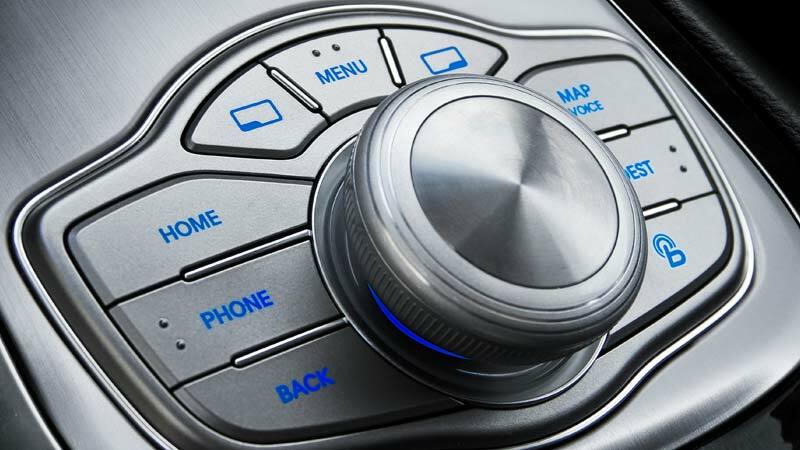 The dreaded knob to select a miriad functions is cumbersome to use while driving. Overhead is a sunroof, sliding visors, and a HomeLink system. There’s a pass-through opening in the rear seats, but the back seats do not fold down, but they rarely do in luxury sedans. Yet there is a power rear sunshade that you activate with a button on the driver’s door.You’ll also be stopping for gas regularly with that big V8 chomping away under the hood. I got 17.6 mpg in about 60% highway driving, while the EPA estimates 16 mpg city and 25 highway. At least it requires only regular unleaded fuel. A base Genesis 3.8L model starts at a modest $34,200 with $875 delivery charge. That model features a solid 333-horse V6, while the tested R-Spec with its V8 goes for $46,800. But this one had no options so ended up at $47,675 after the delivery fee. Final thoughts? 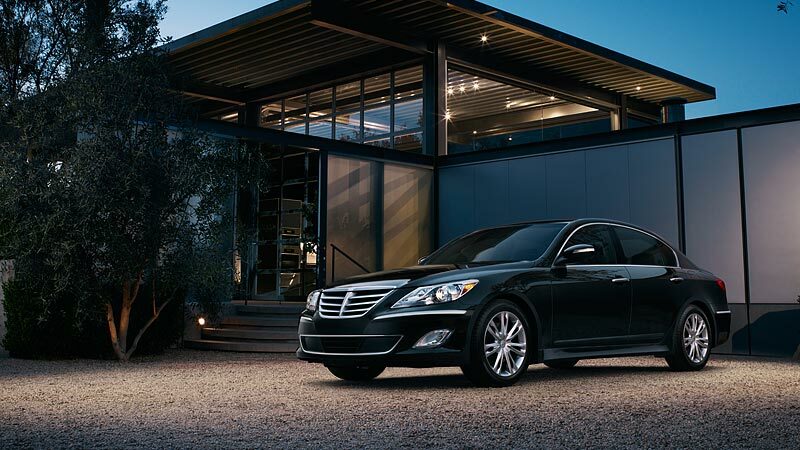 The Genesis looks great, has plenty of power and refinement, but overall the drive is less fulfilling than many luxury sedans. Hits: Classy, looks like a Mercedes with power in spades. Stylish interior with easy climate and screen controls. Heated and cooled driver’s seat and big trunk. Misses: Extremely heavy steering effort, yet numb steering feel, poor gas mileage and the radio sound only worked on satellite radio stations.